As a precondition, we have ensured that there is a sales assistant role with the Business Unit access level granted for the sales-related entities and the sales manager role with the Division access level granted for the same entities. The users in the examples below have one of these roles assigned. A sales assistant Todd needs access to the business units highlighted in yellow that are in the same organization. 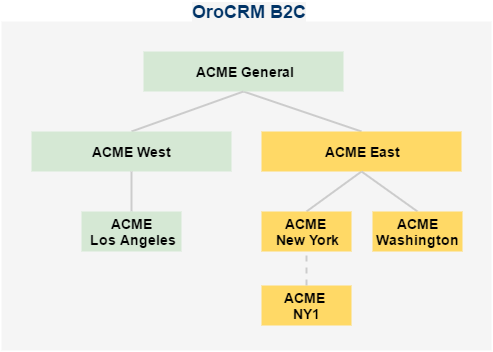 When Todd is promoted to the sales manager, his role changes to the one with the division access level, and he gets access to the business units and the chain of its subunits. 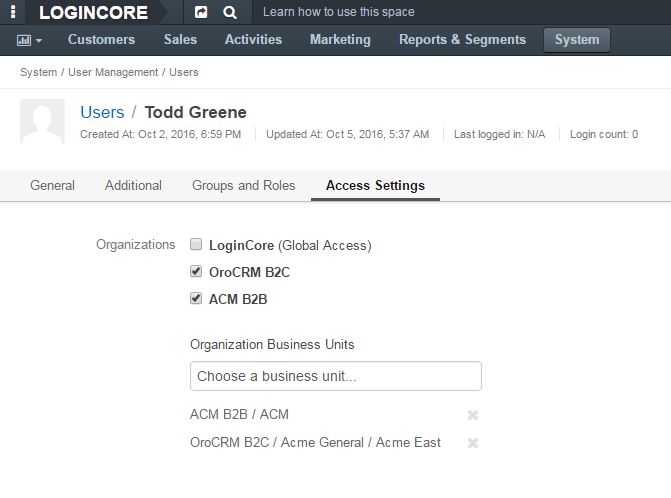 A division is a business unit with the whole chain of its subunits, so you can select only the top business unit of the division (ACME East in our example) in Access Settings to automatically give Todd access to the entire division. 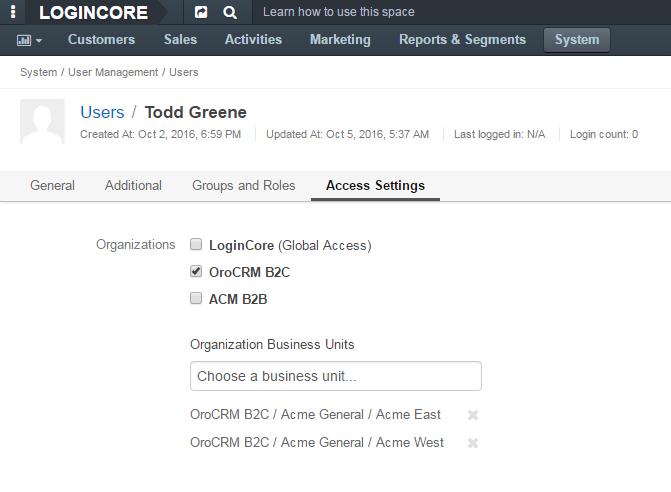 When a new business unit is added to the division, the sales manager has the necessary access to monitor it.